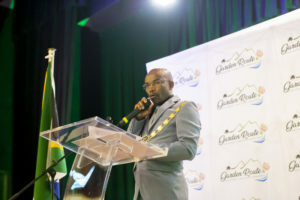 Garden Route District Municipality (Garden Route DM), in collaboration with Hessequa Municipality, hosted its second Garden Route Skills Summit in Stillbay on 7 February 2019. This annual event is hosted to review the progress made in terms of establishing the Garden Route as a Skills Mecca. More than 100 delegates from the public and private sectors came together to discuss and plan the next phase of the Skills Mecca initiative. More than 100 delegates from the public-and-private sectors attended the Garden Route Skills Summit at Stillbay in Hessequa. 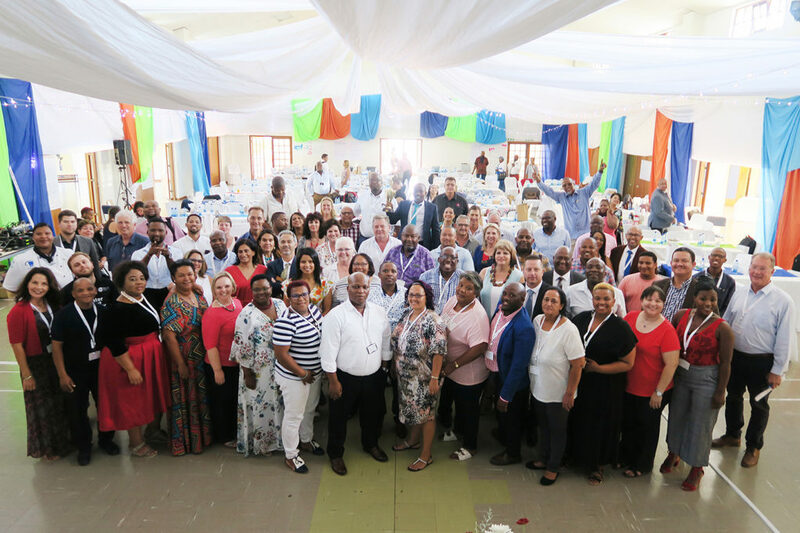 The first Skills Summit was held in George during February 2018 with the aim of stimulating debate around training and skills development for the Garden Route District and the seven Local Municipalities within its jurisdiction. The idea was and continues to be to attract students to relocate and study in the Garden Route, which will provide an economic injection for the Garden Route. Mr Solly Fourie, manager of the Western Cape Government’s economic development and tourism department, explained the importance of partnerships between various training institutions. He also said: “The Western Cape Government believes that there is a need to move towards a situation where large-scale industrial development in rural towns should be incentivized – we need municipalities to assist us in this process”. From this “move” it is evident that more jobs will be created, which will be aligned to skills needs. Later during the programme, group discussions were facilitated by a number experts in the fields of: agriculture and processing (Clyde Lamberts); tourism and film industry (Rushka Eli); Oil and gas (Paul Hoffman); smart cities and technology (Gill Cullinan); timber industry (Karl-Heinz Niemand) and training and development (Elsie Potgieter). 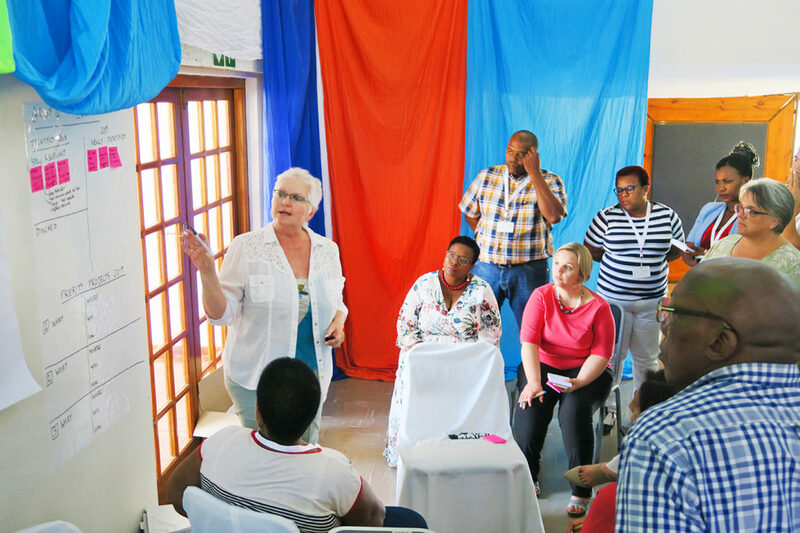 Ms Elsie Potgieter, South Cape College Principal, facilitates a group discussion about training and development at the Garden Route Skills Summit. A ‘show and tell’ session also took place where four municipalities were given the opportunity to showcase a project that was implemented within their municipal area. 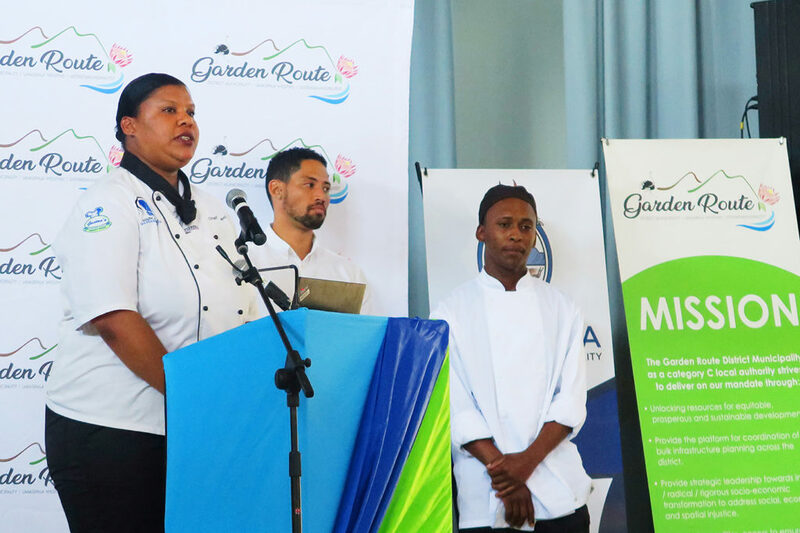 Garden Route DM presented their Cater Care Project, Hessequa presented a people-centred project, Bitou a lifesavers training initiative and Knysna a rapid-response programme for the environment. Cheri-Lynn Speelman (Lecturer: Francois Ferreira Academy) and Yonela Khweleta (Intern: Francois Ferreira Academy), former students of the Cater Care training programme, which is financially spearheaded by Garden Route District Municipality and presented by the Francois Ferreira Academy, formed part of the winning team. 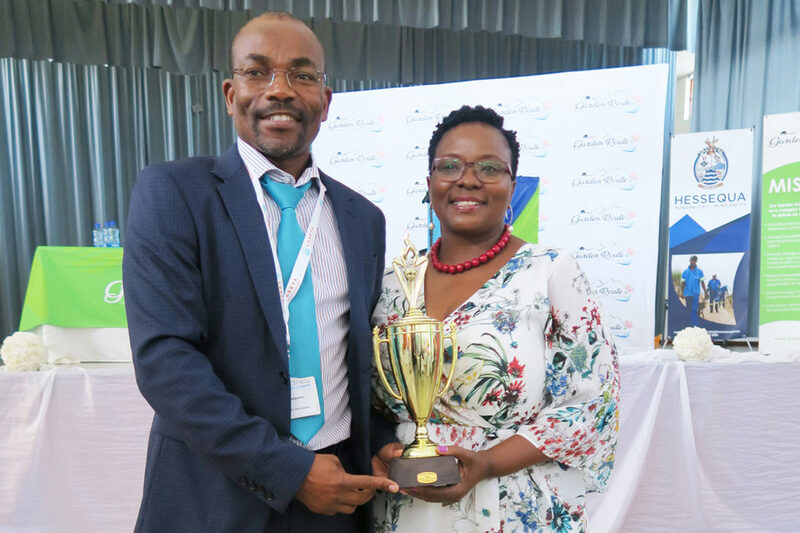 Garden Route District Municipality’s Cater Care Programme was identified by delegates as the most successful out of all initiatives presented. Garden Route DM’s Executive Mayor, Cllr Memory Booysen and Cllr Eleanore Bouw-Spies proudly presents the trophy which was awarded to the District for its Cater Care Initiative. 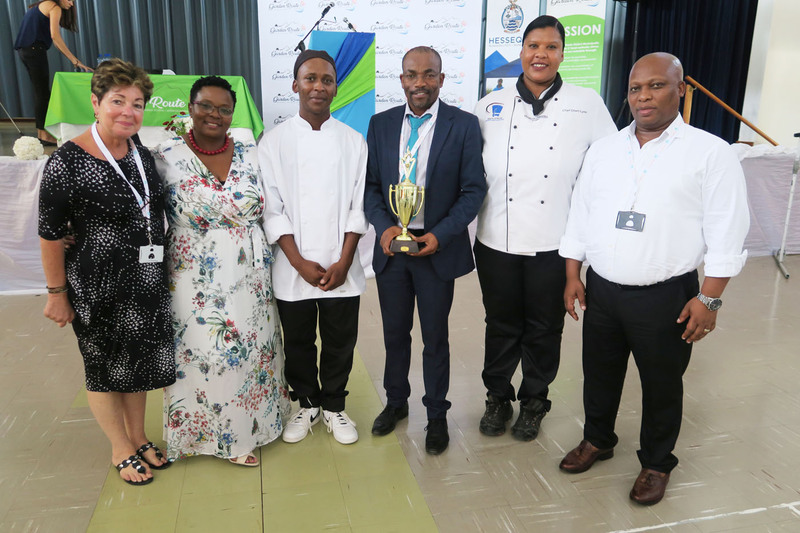 Francois Ferreira Academy (left) and Yonela Khweleta, Intern: Francois Ferreira Academy (right), together with Mr Denver Johnson, Garden Route DM Tourism Officer, won the best skills development initiative during their ‘show and tell’ presentation at the Garden Route Skills Summit. Dr Florus Prinsloo from the Western Cape Government’s department of economic development and tourism reviewed 2018’s resolutions and adjusted it based on feedback from the group discussions and other participating members. Continue and accelerate collaboration and cooperation among all District skills development role players. Ensure that skills development leverages digital infrastructure as far as possible to ensure learning and processes methods are and remain of a cutting edge nature. As far as possible, link skills development to investment and economic development opportunities to the advancement for all. Ensure that all skills development processes in the Garden Route always proactively considers renewable energy. Engage with all willing partners, in particular, the SETAs and the National Skills Fund, to explore the development and implementation of projects across the district. Consider and leverage local skilled people, including retired people, within the district, to accelerate the growth of the Skills Mecca. All public and/or private skills development projects and/or programmes in all municipalities are acknowledged, recorded on Skills Mecca online solution and supported within resource limitations. Progressively support the development of the new apprenticeship of 21st Century (A21) in the district. Budget, plan and implement an annual Skills Summit that is held in a different local municipality rotationally and alphabetically….2020 – Knysna – proposed on 5 March 2020.